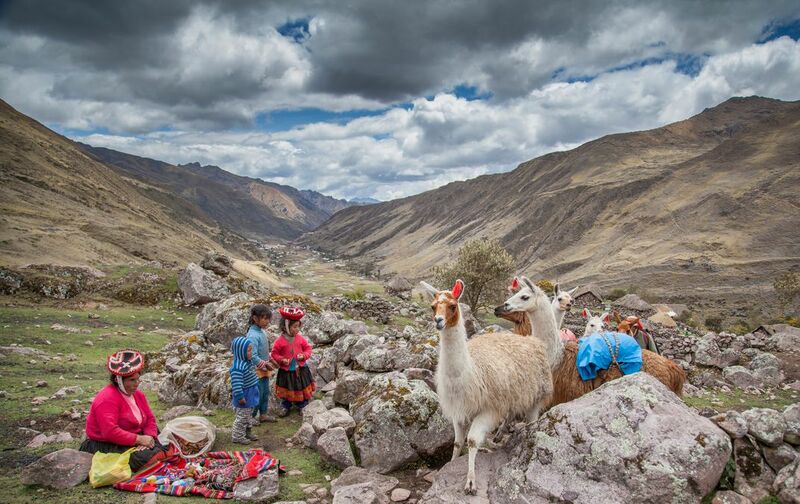 The local Quechua people of the Peruvian Andes, a family seen here in traditionally colorful clothing, crosses paths with a group of llamas herded along by a shepherd. This photograph was taken near the local village of Quishuarani. Date Uploaded: Nov. 5, 2016, 11:48 a.m.